In addition to being probably the easiest to use on the market today among high-performance E commerce enabled content management system, SeoToaster is the most advanced SEO CMS right out of the box. Here is a partial list of what SEO techniques SeoToaster automatically implements on your behalf. 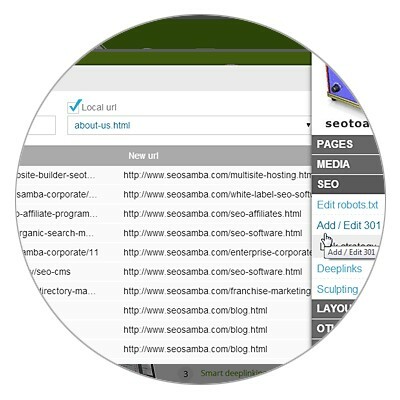 Keep in mind that all automated input can be easily overwritten, and that you can centralize SEO management from the SeoSamba cloud marketing platform. End result? 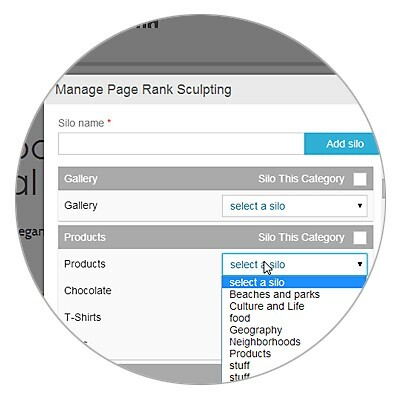 Scale optimization across unlimited number of websites while keeping total control over final results for your websites. 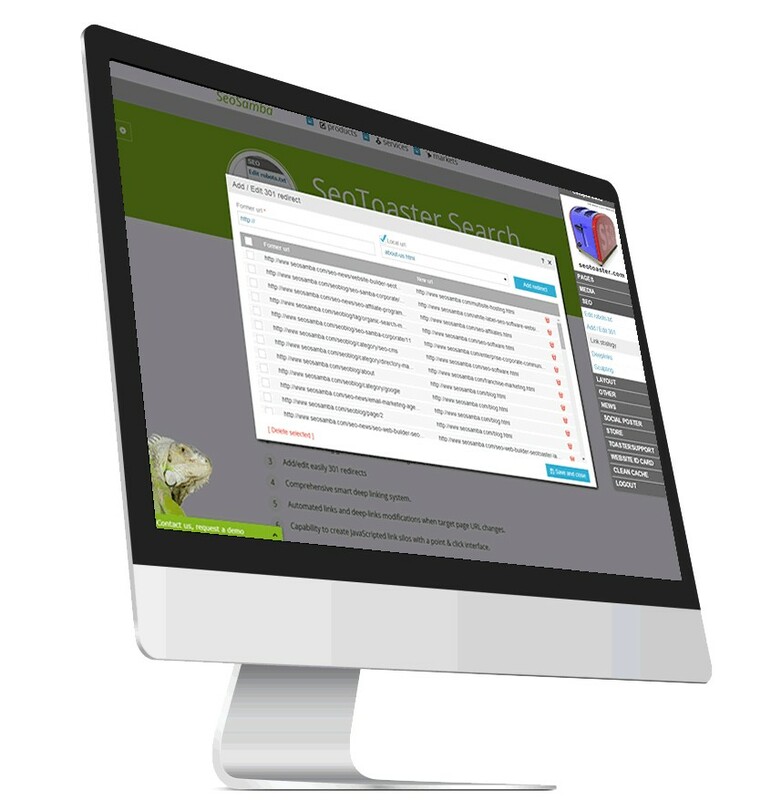 As the name implies, SeoToaster is the only content management system (CMS) to integrate SEO and web marketing automation technology. All web pages and items are automatically optimized, aligning countless SEO parameters in full compliance with the search engines industry’s best practices. Using advanced techniques such as optimized canonical URLs and unique content integrity verification mechanisms while keeping all SEO elements 100% customizable, SeoToaster gives your website an unbeatable edge. 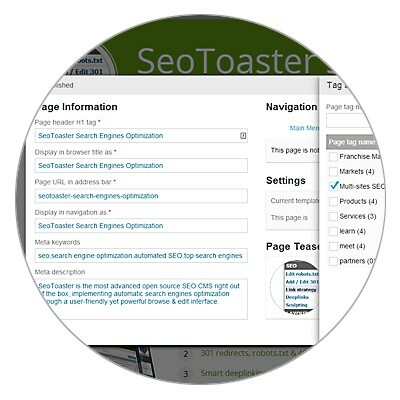 SeoToaster maintains your website's SEO integrity through its entire life cycle like no other CMS software. Enjoy a solid presence with no broken images, inbound or internal links thanks to user-friendly 301 redirects and robots.txt inline edition as well as easy 404 page customization. Combining smart SEO integration and key content integrity features, SeoToaster helps you reap fast-coming, enduring and long-lasting benefits. SeoToaster integrates advanced SEO techniques such as link siloing, PageRank sculpting and smart deeplinking to improve your website's ranking in search engines. Considered major ranking factors by search engines, those parameters determine your website's theme for better niche ranking but are often set aside due to complex implementation. SeoToaster bypasses those technical hurdles, helping even non-savvy website owners to reap huge benefits from in-site SEO techniques mostly ignored by other CMS softwares. SeoToaster automatically builds micro-data formatted product landing pages with, producing eye-catching results (rich snippets) in search engines. Creating HTML and XML site maps on the fly for easy crawling and indexing, SeoToaster also builds KML files to add geo-targeting to search engine results. While providing all those automatic features out-of-the-box, SeoToaster open source CMS lets you customize any or all of them for SEO fine tuning and maximum efficiency. Boost inbound links, click-thru rates and visitor engagement with a user-friendly, optimized News & PR system integrated into your CMS. 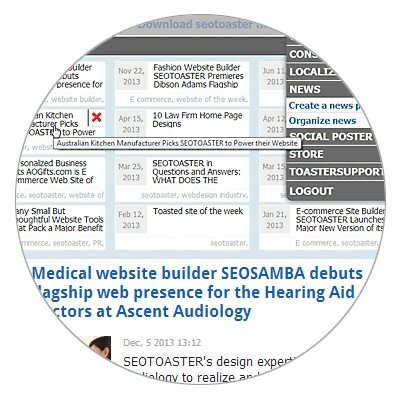 SeoToaster helps you create news, press releases and blogs, automatically optimize your content prior to publication, associate author credentials with social profiles and build RSS feeds in one click. Turn your blog section in a world-class newsroom and optimize automatically news & PR posts to position your site as a compliant provider for major searche engines and news providers. Manage & automate SEO, social networking and online marketing across any number of websites through a centralized, multi-tenants, cloud-based interface. 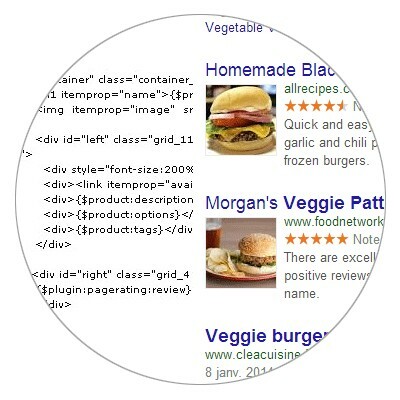 Devise and execute global SEO strategies fine-grained to single page level. Automatically apply cloud-based SEO rules to build URL's, align on-page elements and inject variable-based optimized content within your websites. Get aggregated metrics for all your websites in one glance, market your business across multiple social networks accounts, go back to previous SEO versions of your websites, and more.